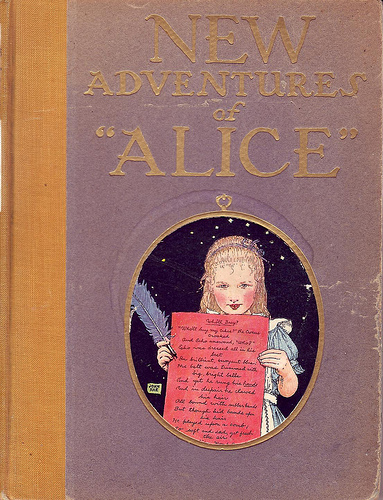 More Alice, by Yates Wilson. Published by T.V. Boardman & Co, 1959. Hardback with dust jacket. 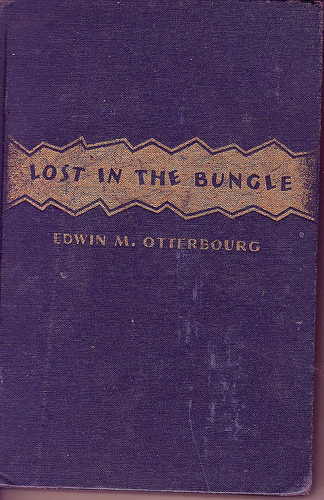 I love the chameleon on the dust jacket, and the black and white internal pictures are also charming. The only thing I can find out about Yates Wilson is that he also produced public information posters in world war two. Any other information welcome! Bought for £15 on abebooks. 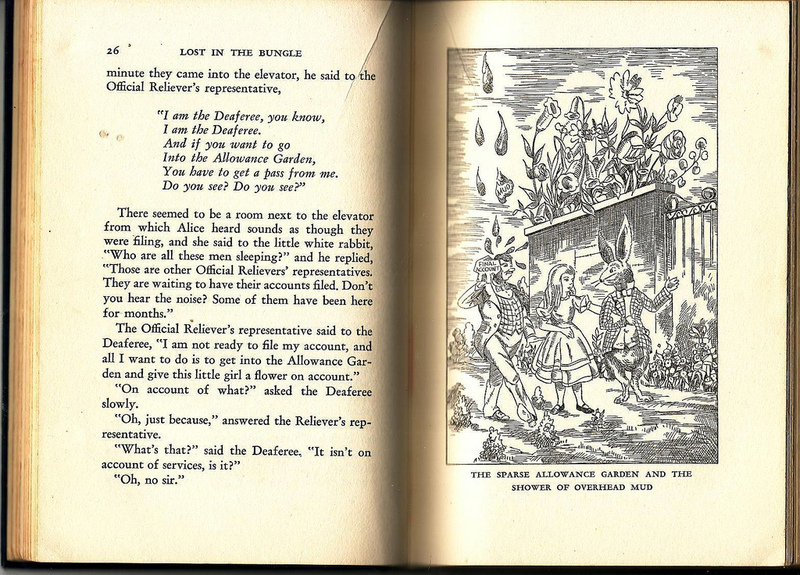 New Adventures of “Alice” by John Rae. 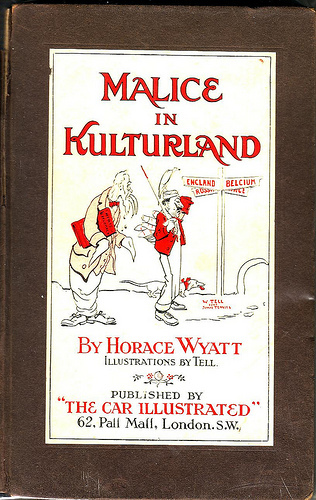 Illustrated by the author. 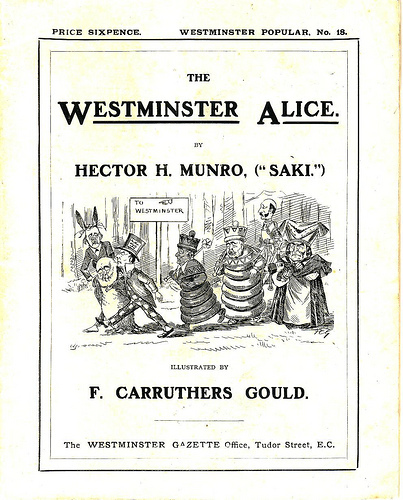 Published by P.F. Volland Company, 1917. 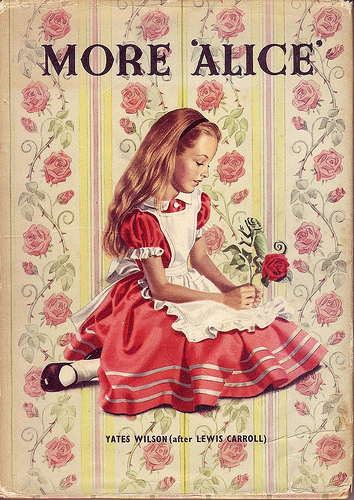 Another book imagining what Lewis Carroll might have written had he continued his “Alice” stories. 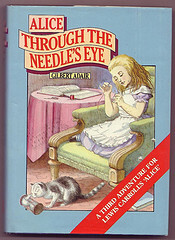 This book contains 14 new chapters with illustrations inspired by Tenniel. It was a sleepy, spring-time Sunday afternoon. “I’m sure you’ll like this one and it may prove a warning to you,” she said. Mine is a slightly tatty copy, so was rather cheaper than the one currently for sale via abebooks for over £200….